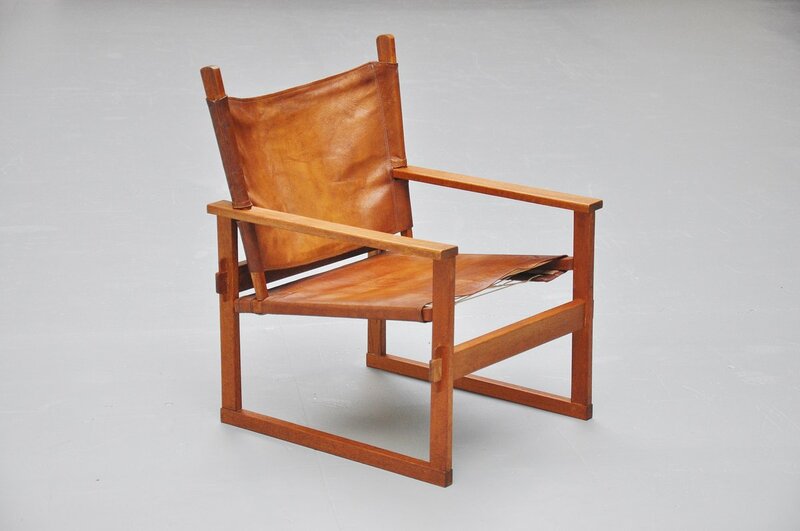 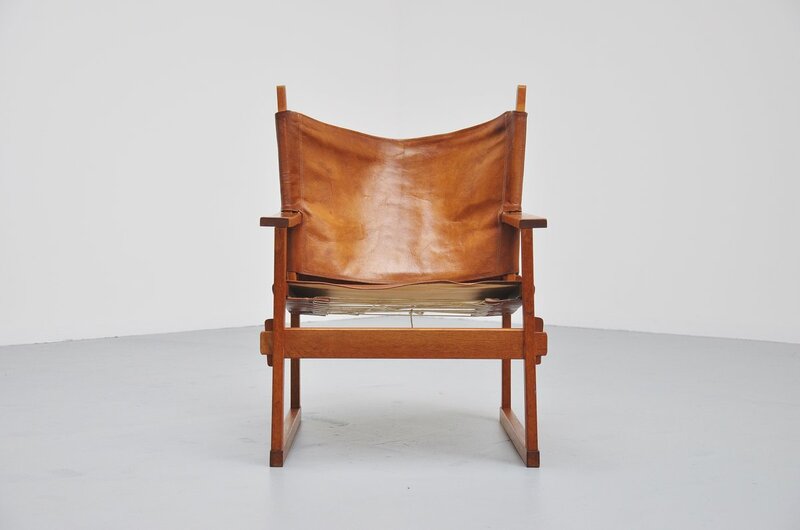 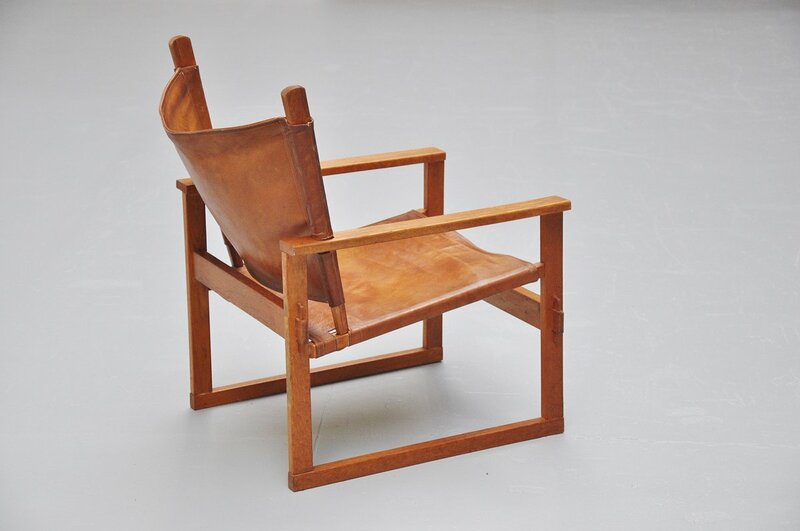 Nicely made Safari chair designed by Poul Hundevad for Vamdrup, Denmark 1950. 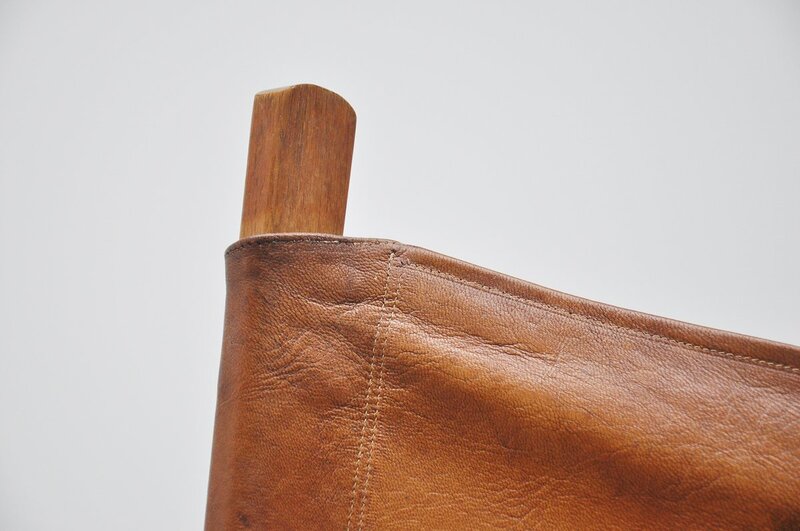 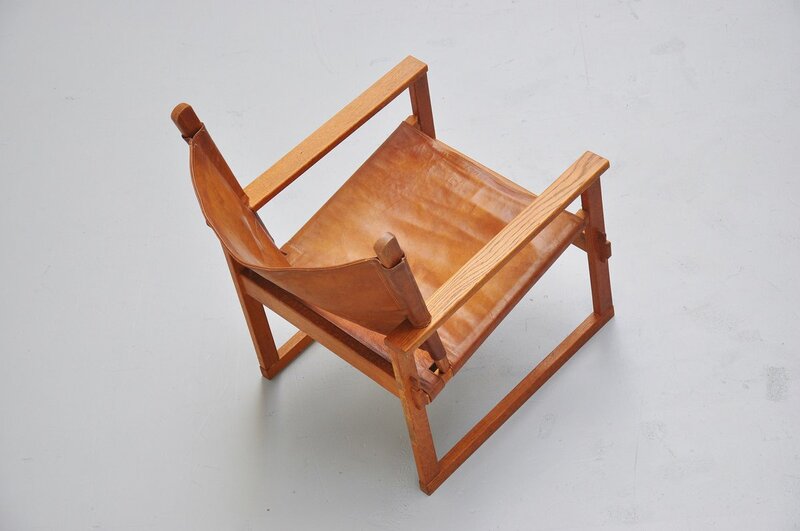 This chair was made of solid oak and has its original natural leather seat and back. 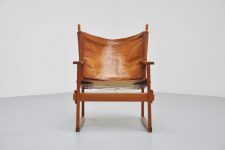 Very nice patina to the leather and in good condition. 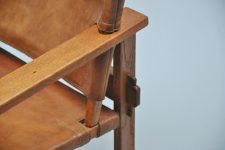 The chair comes fully a part for easy shipping.